(NaturalNews) A recent headline in The Spokesman-Review seemed to have been pulled right out of the Old West: "Rustling suspected as Idaho cattle herds vanish." The article describes how three ranchers have had 150 cattle "go missing" over the last few weeks. Those cattle are estimated to be worth $350,000, about $2,300 per head on average. The economic incentive to rustle cattle is easy to see. The cost of beef has risen steadily over the last few years, which has led to the large per-head average cost. The United States Department of Agriculture's (USDA) economic research spreadsheet for the end of the third quarter of 2014 shows that the current quarterly average retail price for fresh beef is $5.75 per pound, continuing a steady increase in beef prices. Five years ago consumers paid an average of $3.89 per pound. As reported by Natural News earlier in December, even the price of ground beef has topped $4.00 per pound. A variety of factors has caused the price of beef to continue to increase; first and foremost has been the steadily dwindling supply of beef due, in part, to environmental factors such as drought in large portions of the American West. Global demand for beef has steadily risen as the size of the national herd shrinks. According to USDA data,[XLS] exports of beef and veal were 55,430,000 pounds for October 2004, while for October 2014, the latest month the data is available, 227,359,000 pounds were shipped overseas. The top five importers of American beef for October 2014 were Japan, Hong Kong, Mexico, South Korea and Canada. Other factors which traditionally affect beef prices, such as fuel cost and feed price, have been dropping in recent months. The December 15 report on diesel fuel prices by the U.S. Energy Information Administration (EIA) showed the average price of a gallon of diesel, the most commonly used fuel in US agriculture, dropped 12.5 cents in the last week and 68.5 cents in the last year. The November 2015 feed report shows, for example, number 2 yellow corn feed in the central Illinois sampling, is currently $3.45 per bushel, down from $4.10 per bushel for November 2013 and $7.39 per bushel the previous year. Despite the drop in these costs, the most recent USDA Livestock, Dairy and Poultry Outlook Report published December 16 indicates beef prices are expected to continue to rise well into 2015. 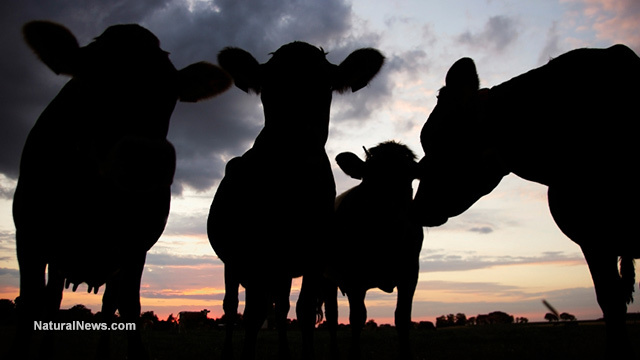 With the U.S. total cow inventory at lows not observed in decades, speculation about when herd expansion will take place has been a concern of many analysts. The current situation indicates that cow-calf producers may be having difficulty deciding whether to keep heifers for breeding--which will generate future income--or selling those heifers at record prices for placement in feedlots for current income. Given the average age of cow-calf producers--60 in 2008, the last time an Agricultural Resource Management Survey for cow-calf operations was conducted (http://www.ers.usda.gov) and high costs of doing business, it is not difficult to understand the desire to capture current income. How these circumstances and dilemmas play out will influence beef production for the next several years. The bottom line is that 2015 may be too soon to see much cow-herd expansion. The cost of beef for consumers is directly linked to the dilemma for beef ranchers' desire to expand the cow herd nationally. Overall, the cow inventory has dropped from well over 43 million head in 1997 to just over 38 million head as of January 1, 2014, and combined with the price that a 60-year-old rancher, not looking very far into the future, can currently get for a heifer, expansion of the herd is not likely in 2015. With the cost of fuel and feed falling, we can only assume that the USDA is including things like cattle rustling in "the high cost of doing business." If that is the case, ranchers may want to figure out more efficient ways to keep an eye on the herd, because cattle rustlers will continue to find ways to steal cattle as long as the economic incentive is this strong.